It has been quite well established that the Ballon d’Or votes tend to go more in favour of the attacking players than their defensive counterparts. But does age also play a significant part in the voting? 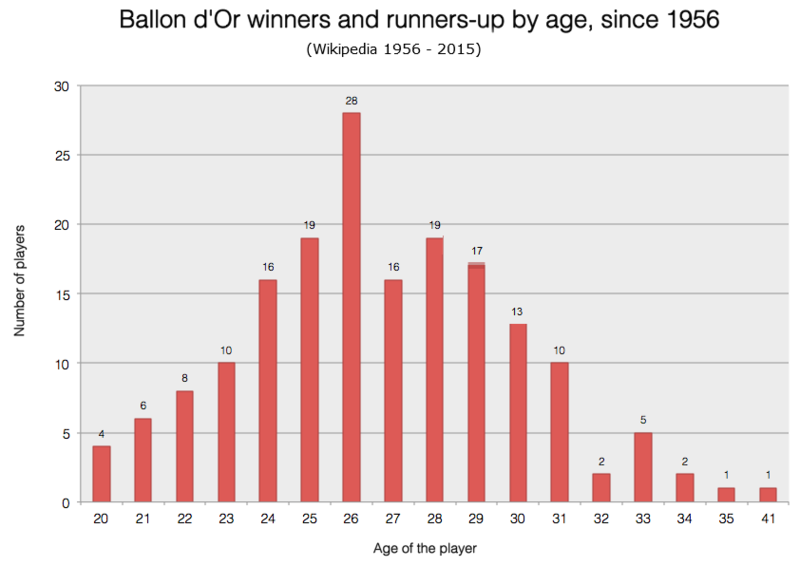 As can be seen from the graph above, 28 players have either won or finished as runner-up at the Ballon d’or at 26, which is not at all surprising considering that the strikers bloom young, while defenders generally come into their primes towards their late 20s, whereas the goalkeepers tend to get better even later than the centre-backs. So a cursory glance at the data does support the belief that the forwards are favoured for the individual honour. So which players have dominated the top two spots at in the Ballon d’Or? Probably the most obvious guess for this question is Lionel Messi and Cristiano Ronaldo. And guess what? It is absolutely correct. The two forwards have shared the top two spots between themselves for the last eight years and their dominance is likely to continue for a few more years. Which age group can dominate until 2020? The current crop of youngsters is massively talented and some have already been in contention for the Ballon d’Or in the last few seasons. Brazil international Neymar finished third behind Messi and Ronaldo in the Ballon d’Or voting in 2015, while Manchester United’s world record summer signing Paul Pogba finished 15th, whereas Chelsea forward Eden Hazard was eighth. Neymar is still only 24, meaning he is two years away from reaching the age which is most likely to fetch him a top two spot at the Ballon d’Or ceremony. And going by the progress he has made since joining Barcelona in the summer of 2013, there is hardly a doubt that Neymar will indeed be challenging for the best player in the world honour in a couple years’ time and by 2020, he should have already won the prestigious gong at least once. Pogba is a year younger than Neymar and should be at just the right age by the time of 2020 Ballon d’Or ceremony to lay his hands on the coveted trophy. However, he might win the trophy much earlier if he succeeds at Manchester United and wins important trophies at Old Trafford. He has even earned plaudits from the managers of rival teams as Liverpool boss Jurgen Klopp compared his otherworldly athletic abilities to those of Diego Maradona’s. “We all saw Paul Pogba. He was here, he was there, selfie, selfie, 9,000 of them, all summer. And then he comes to Manchester United has, what, two training sessions, and plays 90 minutes against Southampton. You think, how?”, he told the Daily Mail in an interview. The ideal age for a Ballon d’Or prospect is 26 as gleamed from the data, while 25 and 27 come a close second. 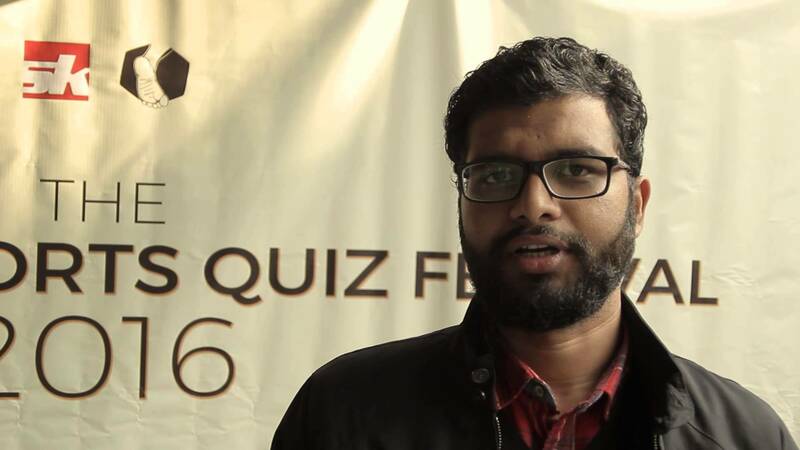 And once a player passes the age of 30 it becomes all the more difficult to win the honour. This is one Ballon d’Or record that is likely to stand a long time. Stanley Matthews of Blackpool was 41-year-old when he won the inaugural edition of the award in 1956. Former Italy national team captain Fabio Cannavaro comes closest to Matthews and he was just 33 when he won in 2006. Former Brazil international Ronaldo became the youngest to take home the Ballon d’Or in 1997 when he won it at Inter Milan at just 21. Michael Owen follows the Brazilian closely behind as he was just a few months older when he won in 2001.